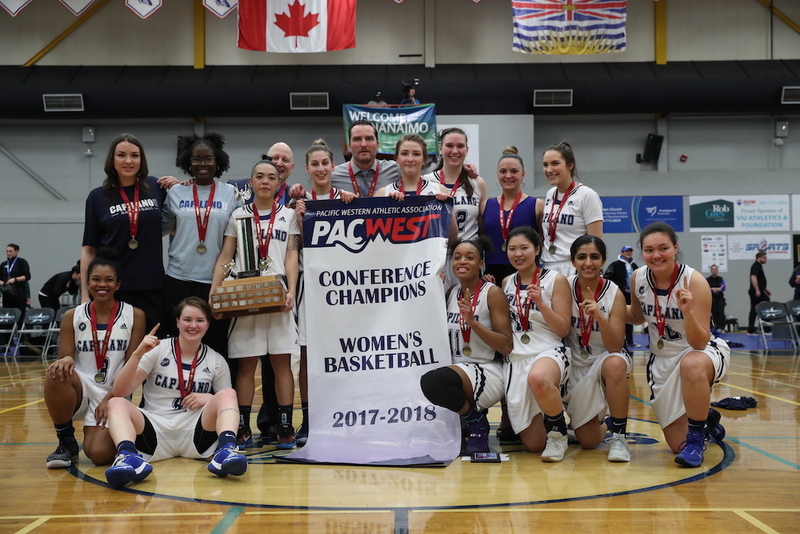 LANGLEY — Every cloud is supposed to have a silver lining, but if you ask Ramin Sadaghiani about any kind of pre-season forecast, it’s clear that the head coach of North Vancouver’s Capilano Blues women’s basketball team was measuring the 2017-18 campaign by a completely different barometre. All of that was clear earlier this month when the Blues went out and played the best defensive half of their lives to beat Victoria’s Camosun Chargers 75-70 in the PacWest championship final, punching their tickets to the CCAA national championships which begin play Thursday on the campus of Mt. Allison University in Sackville, NB. Over his first five seasons at the helm of the program, Sadaghiani had led his Blues to three PacWest title games but lost them all, including the past two. 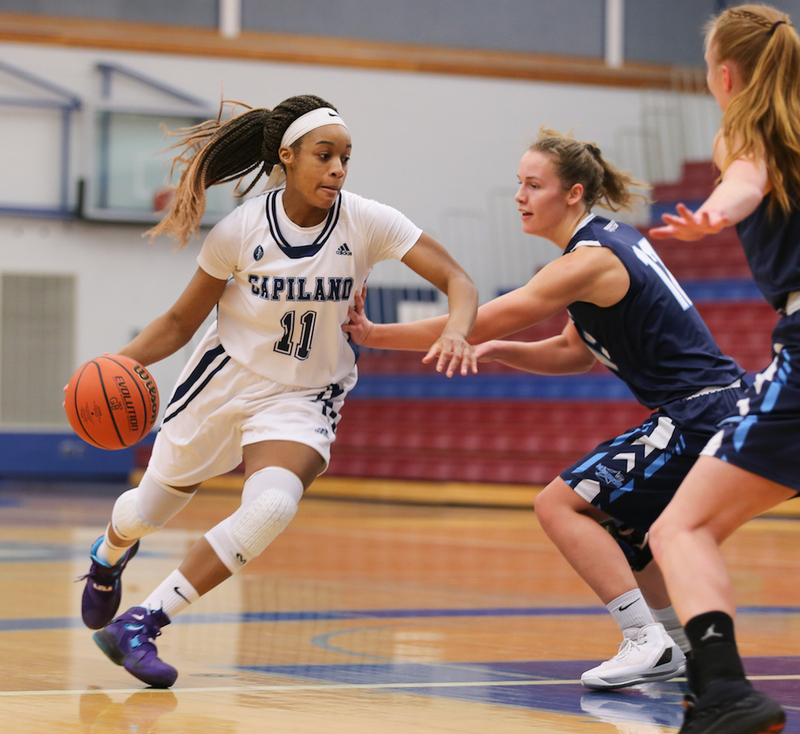 A couple of hours later, it was mission accomplished, and this week, for the first time in Sadaghiani’s career at Capilano, the Blues are a part of the CCAA’s Elite 8 field, opening Thursday with a 4 p.m. (PDT) tip against another team of Blues, these ones hailing from Montreal’s Dawson College. 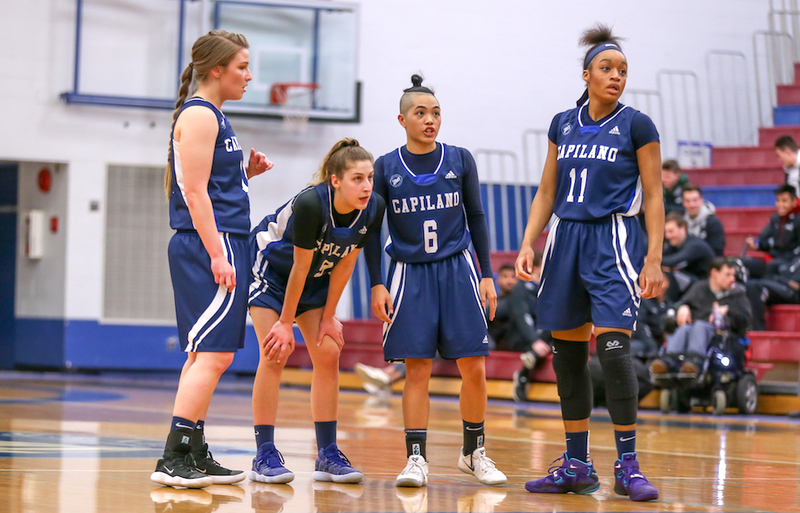 It’s the first trip to nationals for the Cap women since longtime former head coach Paul Chiarenza led them there in 2011. Especially for the team’s two leading ladies, both fifth-year seniors, and both set to graduate from their PacWest careers as all-time individual record holders. Interestingly enough, from a personality standpoint, they’re polar opposites. Yet within the team’s structure, all of that has provided a perfect level of balance, accompanied of course, by a ton complimentary of skill. Point guard Ashley dela Cruz Yip, the 5-foot-5 point guard and former Britannia Bruins standout, is the voice of her team, relishing the opportunity to impart her style of impassioned leadership on the group. Carmelle M’Bikata, on the other hand, has brought understated excellence to the frontcourt following a tremendous career at Abbotsford’s W.J. Mouat Secondary. They are, in fact, so impressive that they are among the most dominant scoring-assists-rebounding duos in the entire shared history of the PacWest, including its generations as the BCCAA. 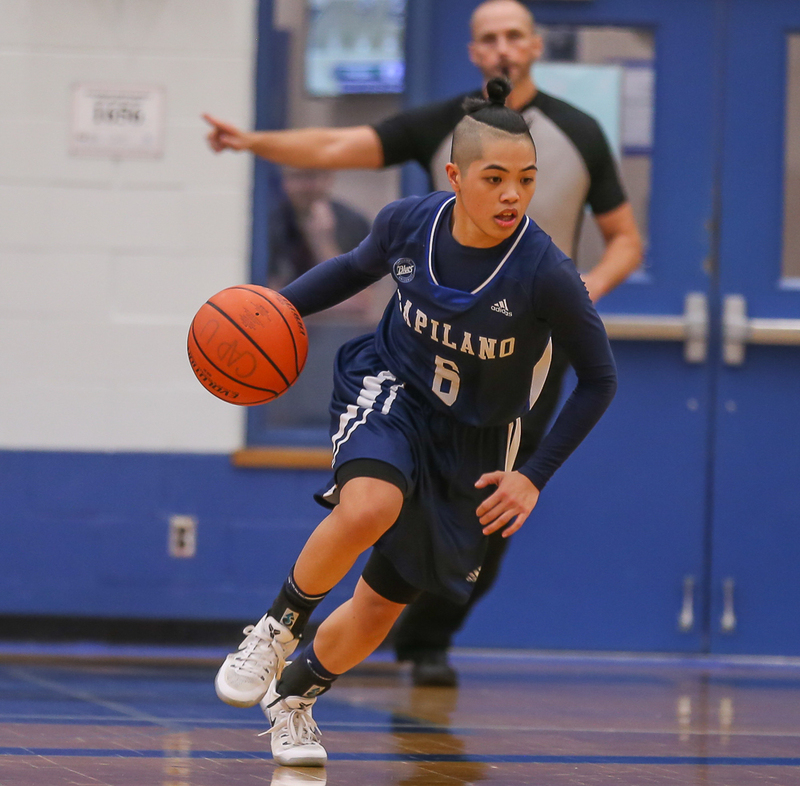 M’Bikata earlier this season became the all-time leading scorer in Capilano Blues women’s basketball history. She heads into Thursday’s opener at nationals having scored 1,163 career points, a total that also puts her No. 3 all-time in PacWest/BCAA history. As well, her 658 career rebounds are best in school history and No. 6 all-time in the conference. She’s hardly a slouch herself. The 389 career assists she has dished are not only the best in school history but in PacWest/BCCAA history. M’Bikata led the team in the regular season at 13.8 ppg and 9.0 rebounds per game, with dela Cruz Yip second at 11.3 ppg and 4.8 assists per game. Guards Reiko Ohama, Emma Cunningham, Sherrie Errico, Francis Penafiel, Simrat Dosanjh and Marti Chambers (8.5 minutes per game), as well as forwards MacKenzie Smith and Zuzia Zdziechowski all averaged double figures in minutes per game as part of a 12-player rotation for Sadaghiani. And the defence they played in their win over Camosun? “It was their best effort of the season,” the coach continued as the Blues allowed 11 points in the first quarter and then just three in the second to lead 31-14 at the half. In the end, it proved enough as the Chargers caught fire in the fourth quarter. “They put together all of the pieces that we had worked on in the season and we stuck to a game plan,” said Sadaghiani. And while it was a huge accomplishment for the players, the same could be said for the coach. Sadaghiani’s apprenticeship was local and varied, and came at the hands of two of the best in UBC’s longtime head coach Deb Huband, and former Handsworth Royals longtime head coach Scott Palmer, whose program sent both Kris Young and Diana Lee to the ‘Birds. “With Deb, I got my first exposure to post-secondary basketball,” said Sadaghiani, whose stint on the Point Grey campus included the 2011-12 season in which UBC advanced all the way to the CIS national final but lost in its Bronze Baby bid to the Windsor Lancers. Yet that high school experience under Palmer, which included back-to-back B.C. Triple A titles (2008-09, 2009-10) at his alma mater Handsworth, also taught invaluable lessons. As well, running the 3D Basketball Academy has also helped Sadaghiani improve in his abilities to impart skill development in any number of different players. 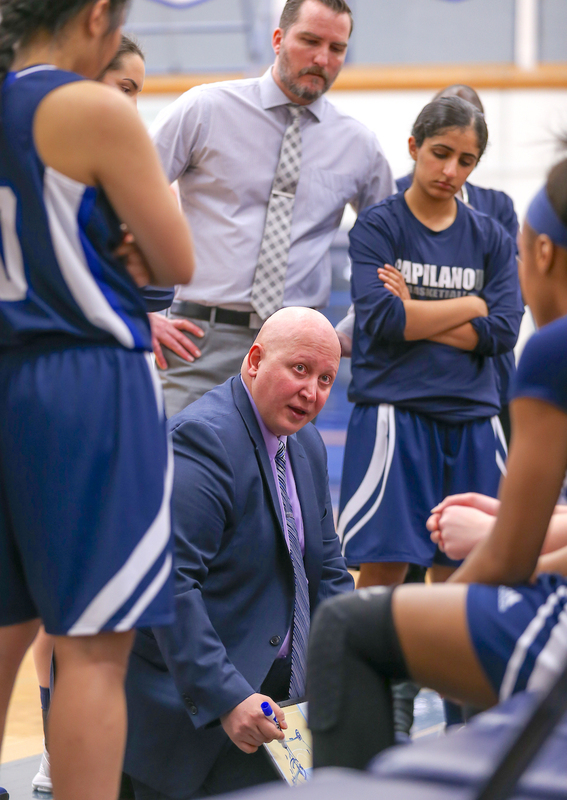 Put it all together, and after six years at the helm of the Blues, a basketball lifer has helped his program make the breakthrough it sought to return to the CCAA national championships. Broadcast it as weather forecast, and you could say the clouds have cleared and the sun is shining through. Miguel Tomley: So where does Tammy’s prodigious talent stand in the grand pecking order of B.C. high school hoops?